What is a franchise? Starting a franchise is a great way to achieve flexible working, where you can work from home and manage your own hours. This section provides a list of the top UK franchise ideas for mums, along with helpful guides and advice on the advantages of franchising, and how to invest in UK franchise opportunities. This section is a great starting point for setting up your very own franchise business. The franchise business is booming in the UK. Research suggests that it has grown by up to 70 per cent in the last decade or so. The average turnover of a franchise business is growing too, according to the British Franchise Association. Franchising is an appealing option for working mums and dads that are seeking to have more control over their working lives. It can provide the excitement and satisfaction of running your own business without the stresses and isolation of starting from scratch. This page explains what franchising is all about, the advantages and challenges, and the types of franchise business you could look at. Franchising is often described as being a ‘business in a box’. A franchise is usually a business that’s been set up and developed over a number of years. Once it’s proven its financial stability, the owners decide that the idea could extend into new branches or areas of the UK. Rather than grow the business themselves, they decide to offer the opportunity to someone else – the franchisee. The franchisee pays a fee for the right to replicate the business approach in a new area. Famous franchise brands include Costa Coffee, Domino’s Pizza and Subway – but franchising isn’t just about food and drink. You can find a franchise business for sale in almost any sector you can think of. Some of the most common searches online are for a cleaning franchise or coffee shop franchise. One of the key advantages of running a franchise is that you’re given great support. You’ll be advised at every step of setting the business up, to help you through the key tasks and the processes you need to establish to run a successful business. To understand more about the details of how franchising works, and particularly the legal side, read this excellent article from Amy Leite. Franchising is ideal for those that are keen to run their own business but need inspiration into the kind of work they want to do. If you already have professional strengths, such as teaching experience, marketing skills, administrative experience or customer service expertise, there are many opportunities that will play to these skills and experience. Alternatively, you can explore topics that interest you or fields you know you would enjoy working in. A quick look at our franchise categories demonstrates the range of opportunities available, from business services, care, cleaning, children, health and beauty to food, pets, recruitment and travel. Whatever you have in mind, from a coffee franchise to art classes, there’ll be a franchise to suit you! The amount you’ll need to invest depends on the type of business you’re interested in, its size and the potential for success. As you can see on our Franchise Directory, opportunities can be grouped by cost. Some franchises start at less than £5,000, while others can reach £20,000 or more – and big name brands can run into the £100’s of thousands. Many franchisees approach a bank for a loan to get started. One advantage of franchising is that your lender will have greater confidence in a business idea that’s been successful elsewhere. How does franchising work with family life? Franchising is a great option for parents looking to create a better work-life balance. Many of the businesses on our franchise pages were themselves set up by working mums and dads. Child-focused businesses such as music groups and tutoring can be a great option for parents that want to work around their own children and childcare arrangements. Some franchises focus on term-time, leaving the franchisee free during the school holidays. Other options might be to choose a home-based franchises, and benefit from working from home. For those looking for a more traditional business idea, there are plenty of these available too. The key advantages of running a franchise is that it’s lower risk than starting your own company. You know that the product or service and the business model have worked elsewhere, and you get lots of support from the franchisor to achieve the same level of success. After all, if they can help you make the franchise work, it will be easier to convince future franchisees, delivering them more income as a result. Many people choose to start their own business to give them more control of their working hours. There are plenty of franchise opportunities that are geared to part-time hours. A further advantage is that franchising is very motivating. Unlike many employed roles, where your salary is static no matter how hard you work, with a small business your hard work can deliver more profit – a great incentive to get up in the morning! 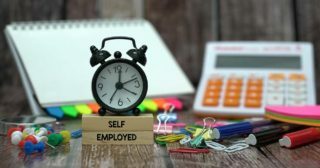 The challenges are the same as with starting any business: it can be hard work to get started, and many small business owners do report feelings of stress and worry at times. You should also be realistic about your own strengths and weaknesses. For example, if your new business will be home-based, will this suit your personality and working style? If there’s a strong emphasis on sales, are you comfortable with doing that? It’s very important to examine the details of the business you’re seeking to buy, to understand the small print and make sure there are no surprises. This article provides some useful things to consider when buying a business franchise. Once you’ve found a franchise for sale that interests you and have registered your details, the franchisor will contact you. They’ll explain everything you need to know about the business, how it works, what you’ll need to do and the support that they’ll give you. You can find some great advice here about the questions to ask the franchisor as you go through the process. You’ll need legal advice before signing any contracts, and you’ll need to be clear about how you’ll fund the franchise. One everything’s gone through, you’ll be supported to get your franchise up and running. The franchise agreement is a comprehensive document that outlines in legal terms how the franchisor and franchisee relationship works with respect to rights and obligations within a given geographical territory or location. Any future adaptations to the franchise system and how to end an agreement. Workingmums.co.uk have produced a series of articles on some of the main clauses you need to be aware of in your franchise agreement. Franchise agreement: training and the franchisee’s initial obligations. The first step is to look at our franchising pages and see what takes your fancy! Search here for your ideal flexible franchise. You can find everything from running a children’s art class, to managing a team of cleaners for a high earning business.